L1c1a1a1b legacy. | Scuffalong: Genealogy. L1c1a1a1b legacy. – Scuffalong: Genealogy. Thanks to my cousin M.D., we now know that Mary Agnes Holmes Allen and her mother Matilda belonged to haplogroup L1c1a1a1b. M.D.’s mother, Nita Lourine Allen Meyers Wilkerson, was my grandfather John C. Allen Jr.‘s youngest sister. 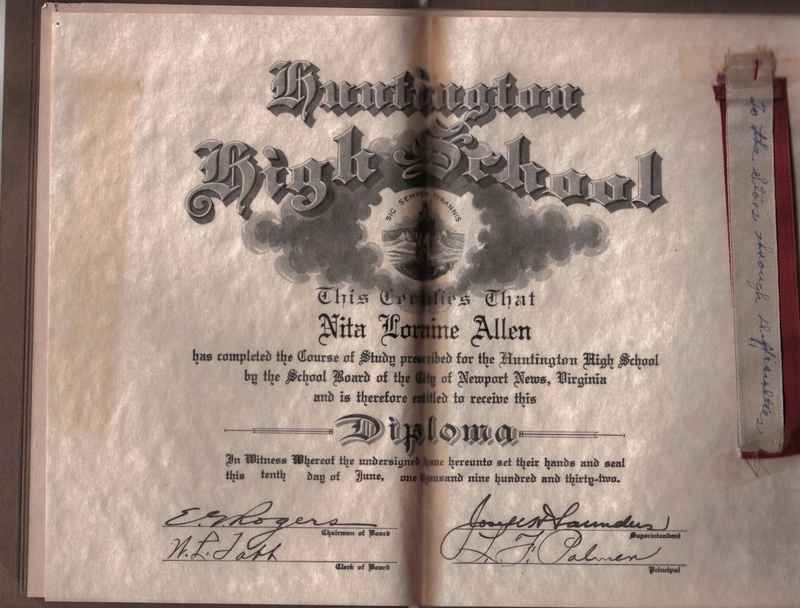 She was born 20 March 1913 in Newport News, graduated from Huntington High School, then received a nursing degree from Hampton Institute. 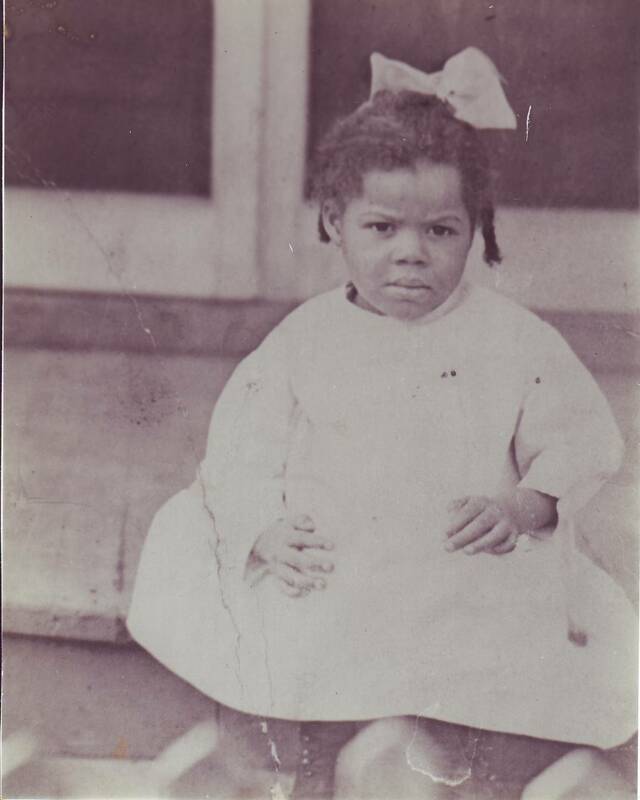 Here’s Aunt Nita sitting on the front porch of her parents’ house on Marshall Avenue, circa 1916. In 1939, she married Marcellus W. Meyers, a native of Washington, DC, with Beaufort, South Carolina, roots. The couple moved to DC, where their only child was born. Aunt Nita retired from nursing in 1975, returned to Newport News, and immediately pursued a passion for Democratic politics. She served and supported local and state campaigns for nearly twenty years until moving to Maryland shortly before her death in 1996. 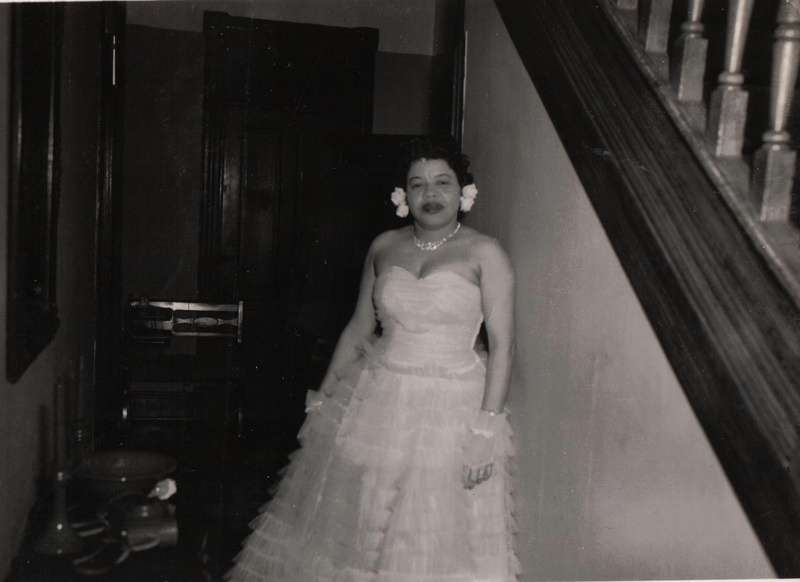 Nita in evening gown in the front hall of my great-grandparents’ house at 2107 Marshall Avenue, Newport News. Matilda Holmes passed mtDNA haplogroup L1c1a1a1b to all her children, but only her daughter Mary Agnes Holmes Allen carried it further. In turn, of Mary Agnes’ children, only daughter Nita passed the haplogroup on. Today, as far I know, only M.D. and her son D.D. carry Matilda’s legacy. 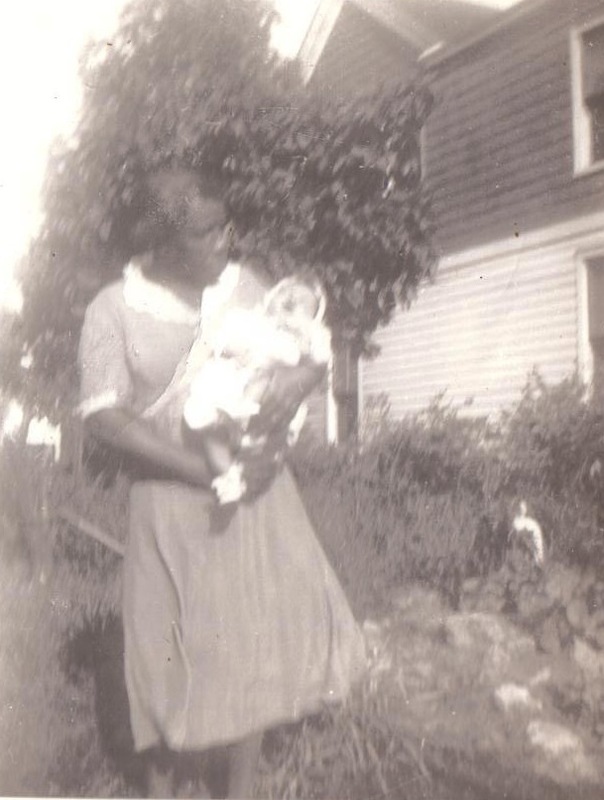 Mary Agnes H. Allen holding baby M., circa 1943. Photos courtesy of Julia A. Maclin and M.D. ← John McNeely vs. John McNeely.